Even people with mild tinnitus may feel they can't escape the noise. Tinnitus can have many different effects on a person’s life. Although no two people may complain of exactly the same problem, the main categories of impact are difficulty concentrating, emotional reactions, and disrupted sleep. Usually, effects of tinnitus include emotional reactions. For example, difficulty concentrating can lead to frustration and anger. Imagine you are sitting in a quiet office writing a report. Off in the distance, a car alarm goes off. You notice it, but car alarms go off all the time so you don’t pay much attention to it. If the alarm continues, however, the sound may distract you from your work. Constant tinnitus is like an “endless car alarm”. The sound is not welcome. It cannot be turned off. The challenge is to function in spite of the unwelcome sound. People are different in their ability to ignore certain sounds. For example, some students like to study with the TV on while others need quiet. Likewise, people are different in the way they ignore tinnitus. For some, it is easy to ignore, while for others it is a distracting sound. When tinnitus distracts you, it can affect any task that needs concentration, such as reading, writing, studying, learning, or problem-solving. Tinnitus does not make it more difficult to hear. It can, however, indirectly affect our hearing if it affects our concentration. It can interfere with focused listening. For this reason, tinnitus can affect our ability to communicate with others. At first, the sound of a car alarm is distracting. If the sound persists, it can become annoying. 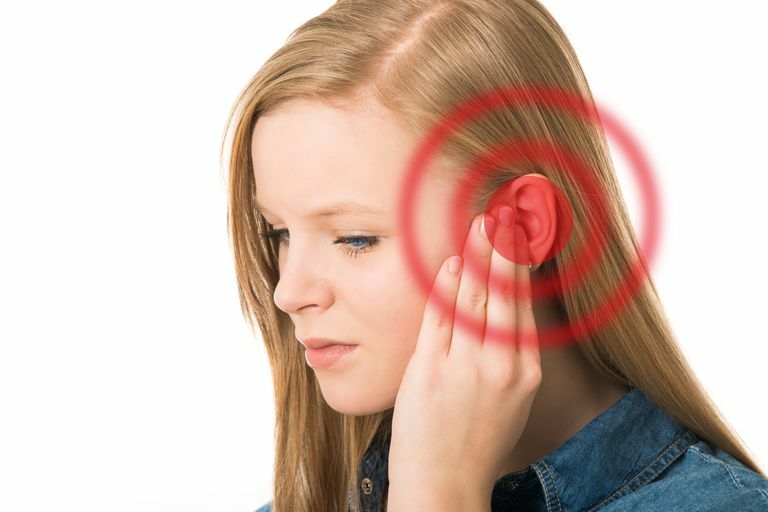 This type of cycle can happen with tinnitus. Emotional reactions can include frustration, worry, and anger. Some people report anxiety or depression because of tinnitus. As mentioned above, effects of tinnitus usually include emotional reactions. For this reason, tinnitus management should focus on managing reactions to tinnitus. People with tinnitus often experience sleep problems. The sharp contrast between tinnitus and a quiet room attracts attention; when you go to bed at night, you are usually in a quiet room. This situation can make it very difficult to ignore tinnitus. Being aware of tinnitus can make it hard to fall asleep. It can also make it hard to return to sleep if you wake up in the middle of the night. If tinnitus disrupts sleep each night, you may become sleep deprived. This can make it harder to function normally throughout the day. Why Does Tinnitus Become a Problem? We discussed how tinnitus can become a problem. Now we will discuss why it becomes a problem. 1. Many tinnitus patients report their tinnitus “came out of nowhere.” The tinnitus is a new sound. The new sound is can be surprising, and it comes from inside the head – that really gets our attention. 2. If the tinnitus is perceived as a threat, it will keep our attention. Tinnitus can be perceived as a threat if it evokes fear of a serious medical or psychological problem. Patients often report worries that tinnitus means that they “have a brain tumor” or “are going crazy”. 4. Lack of control is one more reason why tinnitus can become a problem. Even people with mild tinnitus feel they can’t control or escape it; this leads to being frustrated, angry, and discouraged. We talked about the car alarm in the distance becoming increasingly bothersome. The alarm becomes a problem when it is someone else’s car and you have no control over it. If it is your own car you would be able to turn off the alarm and end the problem. The difference in how you react depends on whether or not you feel that you have control. Henry, Zaugg & Schechter, Clinical Guide for Audiologic Tinnitus Management II: Treatment. American Journal of Audiology, 14: 49-70, 2005. Henry, Zaugg, Myers, & Kendall, How to Manage Your Tinnitus: A Step-by-Step Workbook. Third Edition.